At the end of your exchange experience you might have a BIG "OH NO!" moment! What is it? Well, its "OH NO! I can't fit everything into my suitcases!" But don't worry, that's exactly why Erasmus Life Porto has a strategic partnership with Eurosender to help send all your belongings back home safe & sound, and better yet, at an affordable price! Erasmus Life Porto office serves as a drop-off point for your luggage! Study.Party.Explore. with Erasmus Life Porto and forget about everything else. Visit erasmuslifeporto.com and get the best support for your next exchange period in just a few minutes. Erasmus Life Porto is an open space, a place dedicated to Erasmus Students in Porto. Are you or you will be an Erasmus Student in Porto? Just come to the Erasmus Spot and join us. Do you want to meet other Erasmus Students? Here you can! Having or not having anything to do today? So just come here and say hello. Doesn't cost any money and it just can bring you new friends!. 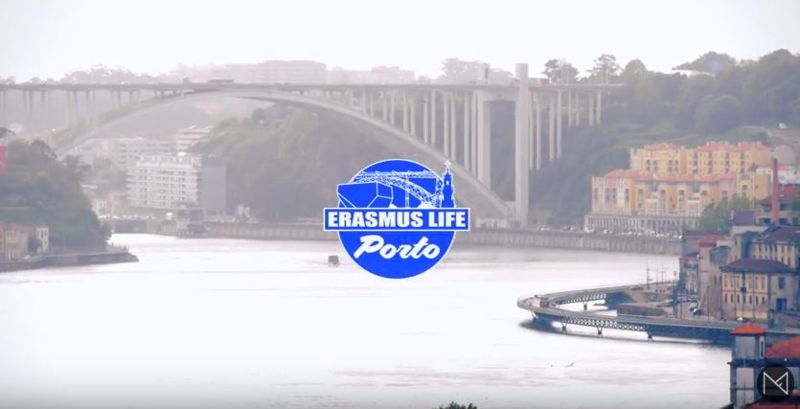 Erasmus Life Porto was born to give all international students an amazing experience. Erasmus Life Porto office is open everyday from 8 am to 10 pm. Come to say hello and check what we have prepared for you.